Credit card processing, especially in the brick and mortar retail environment, has changed significantly over the years. New developments have allowed merchants to accept payments using cell phones, and to safeguard customer privacy in a world where hacking represents a major liability. Here are the newest trends in this exciting field. One of the major steps forward has been the development of several technologies meant to securely transfer payment data directly from a cell phone. Now that Google and Apple are on board with payment gateway technology, adoption rates are expected to increase. Nearly everyone has a smartphone, and more retailers are beginning to accept these digital wallets as currency when customers shop at a store. The old magnetic strip was too easy to duplicate, but new standards allow for a secure chip on a card. This chip encrypts payment data, allowing the customer to safely insert the card to process the transaction. The chip’s heavy encryption also means it’s not easy to spoof or duplicate, so it’s a safeguard from physical theft as well. In general, security protocols have improved for merchant accounts. New technologies use multiple layers of encryption to prevent hackers from leaking important and identifiable payment data. This will help cut down on incidents of fraud in the long run. 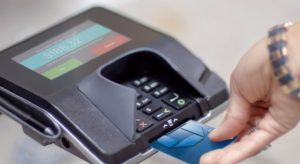 In addition, customers utilizing these digital wallets will be able to impose limits on their spending by only filling their wallets with a small balance, which they can adjust at any time from any location that has an Internet connection.